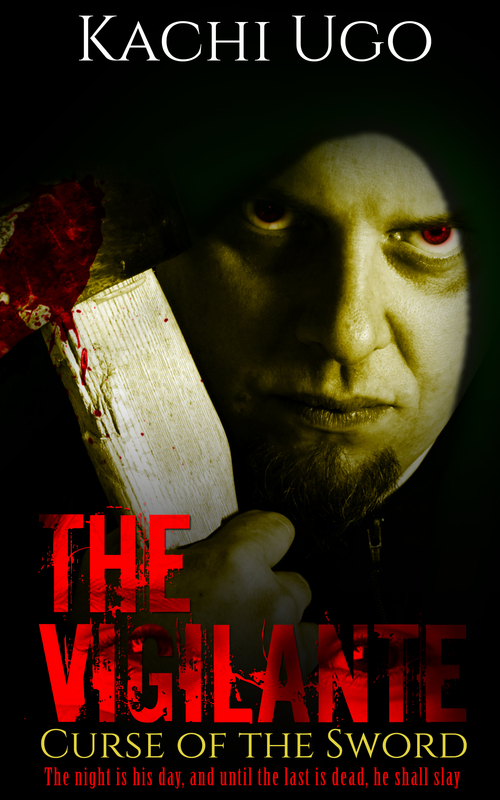 The Vigilante: Curse of the Sword, Now Available For Download! Yippee! Today is my book launch, and I’m really excited. It is not my debut story as I have earlier published a short story, which you can download for free HERE. It is my debut full-length novel. I hope you enjoy it. Twenty-six children are gone. They have been taken by a ruthless, barbarian warlord who has only one thing on his mind: sacrifice. His fortress is high up the evil mountain, out of reach of the four governments of Lazul with the paths to it rife with all manner of murderous, blood-thirsty creatures. The council of governors has passed its verdict; no help is coming for the children. The children are left to a horrible inevitable end and their only hope lies in the hands of an unlikely village straggler, Briksan, who in the darkness of night becomes an unspeakable evil; an evil he is frightened of. In the shroud of darkness, Briksan becomes a cruel, lunatic killer known only too well among nefarious serfs as the Vigilante. But the quest is much more than rescuing a bunch of children he couldn’t care less about if they lived or died. The quest is more about rescuing Rachael, the woman he loves, who was kidnapped alongside the children. The quest is more about destroying his two most hated arch enemies, the Baka brothers, who are responsible for the curse upon him and who are cursed as he is. The quest is really about executing a sentence of death he passed a long time ago when he discovered that the barbarian warlord, Kaza, was responsible for the death of his parents. Haunted by ghosts from his past and propelled by blood-hot revenge, Briksan must survive fierce battles with monstrous creatures ten times his size if he is to reach the summit of the mountain. His endurance, his will and everything he holds dear will be tested by the evil creatures that roam the paths to the mountain. Yet, Briksan will soon discover that reaching the fortress is only the beginning. Download your copy at Amazon, Barnes and Noble, iBooks, Kobo, Smashwords, and Scribd. Have you read the book? Don’t forget to leave me a review at your favorite retailer. ← The Vigilante: Curse of the Sword, Chapter Reveal!! !